During a fan event in Japan yesterday, Inti Creates revealed that a new Azure Striker Gunvolt update is in the works. Version 1.2 will do a few things. First, New 3DS owners will be able to change weapons on the fly with the ZL/ZR buttons, and system owners will experience faster loading times. Three new songs will be added as well including Lumen’s new song “Sakura Efflorescence”. 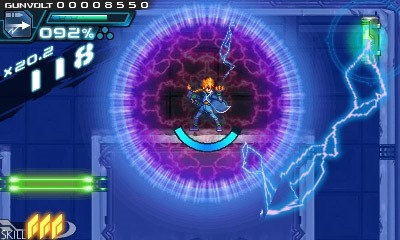 Azure Striker Gunvolt’s 1.2 update will release on March 11 in Japan – and possibly North America as well. Azure Striker Gunvolt and Mighty Gunvolt have now been rated in Australia. With that, both titles are one step closer to their PAL release! There’s still no firm date out there, but hopefully these ratings are a sign that they’re coming soon. 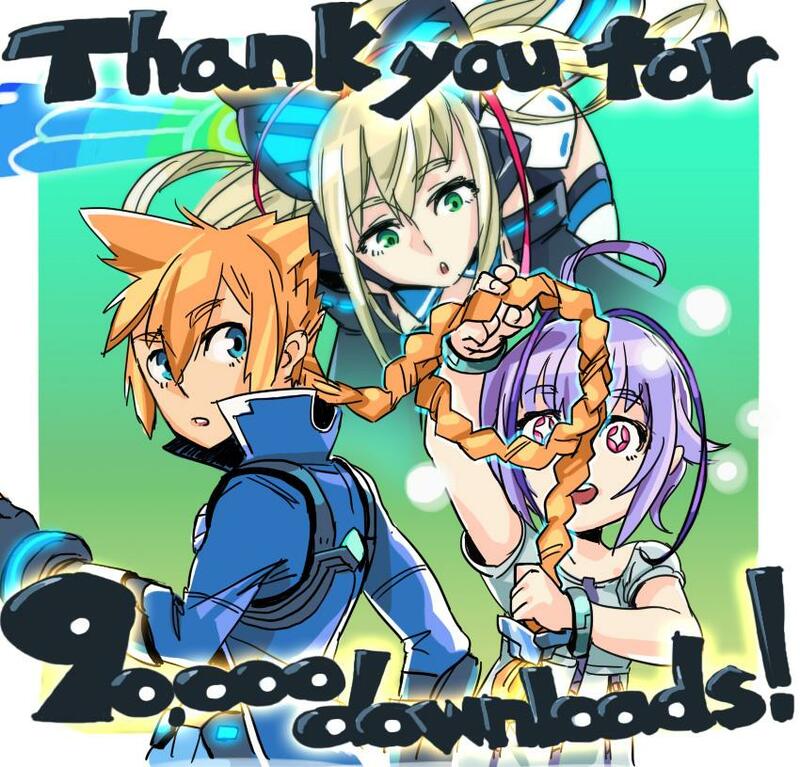 Azure Striker Gunvolt has managed to sell over 90,000 copies worldwide, according to creator Inti Creates. Inti Creates announced strong sales for the downloadable 3DS game on Twitter today. It was accompanied by a new piece of art from one of Azure Striker Gunvolt’s character designers.